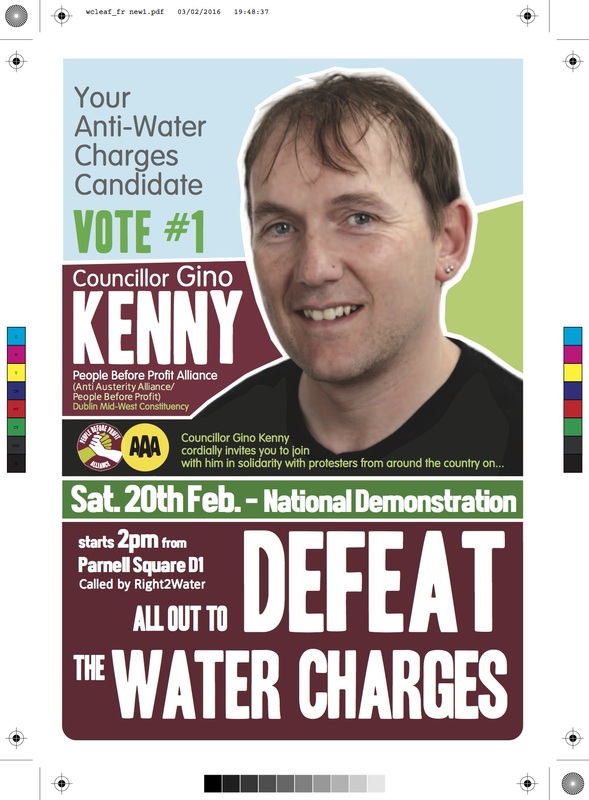 Gino Kenny’s campaign have now issued a special leaflet to mobilise for the Right to Water demo on Saturday February in Dublin. Click on each image to view in full detail. February 7, 2016 in General Election. 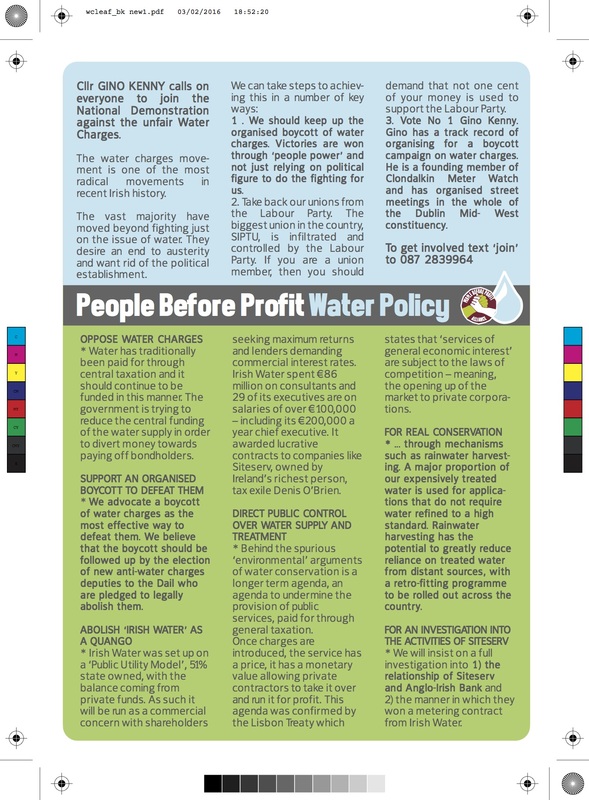 PBP Dublin Mid West September 17th demo leaflet now online: Let’s bury Water Charges!